This article is something of a landmark as it is the 350th post on Everyday Linux User. I took last week off to celebrate. Well actually I went away with the family down to England for a few days and didn’t take a computer with me. 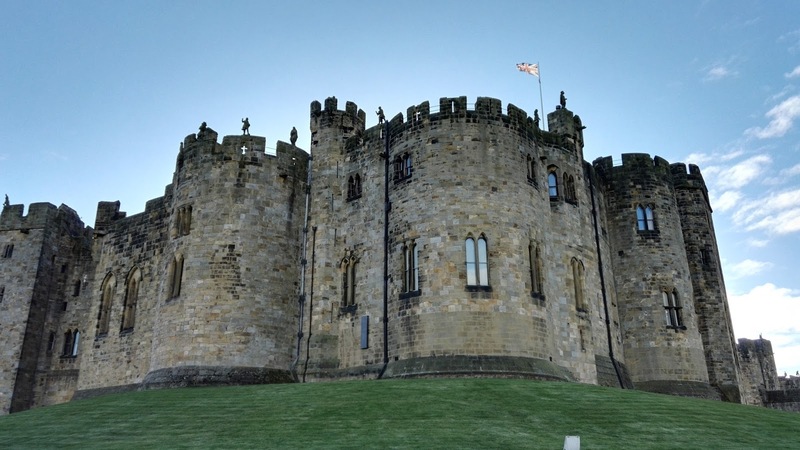 I did take in Alnwick Castle however which is the location for Hogwarts from the Harry Potter films. What all this means is that I haven’t had the chance to review any Linux distributions or indeed any software. Rather than wait another week for a post I thought I would round up on some of the articles I have written in the past and take you on a history of how and why Everyday Linux User came about as well as highlight some of the more successful posts and some that didn’t go down so well. This post is the 350th. The pageview counter currently sits at 28,681,423 (although changing constantly). There have been 4885 comments on the site. The first article is actually quite good to look back on. Windows Vista was the main Microsoft offering and Windows 7 was only just on its way with Windows XP on the way out. I had already been using Linux as my main operating system for about 3 years at that point. So why did I start Everyday Linux User? In 2010 it was definitely created to fill the gap left behind after I closed down another site I had been working on. When I first started Easy Web Page Design it had about 20 pageviews a day but then MySpace was released and by writing MySpace customisation guides loads of people started emailing me and asking me questions. I sold Easy Web Page Design because it became to hard to find the time to update it as I was working away from home. Of course times change and I found time again and I decided to try blogging about Linux instead. It is worth pointing out that the first 2 posts between them have had 162 pageviews between them. Like many bloggers I wrote my first 2 posts, got bored and left the blog to rot for a couple of years with no visits. There was no dedicated domain name and I didn’t do anything to promote the articles. It was 2012 before I really started taking an interest in blogging again after reading the reviews on sites such as Linux Notes From Dark Duck and Dedoimedo. 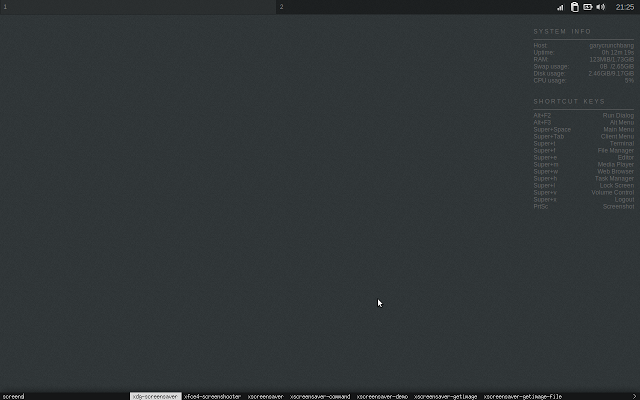 I chose at this point to restart Everyday Linux User and I bought a domain name and changed the look and feel. I decided that I wanted the site to be for the average computer user which meant I could write it as me because I had no real Linux expertise other than being a user. I have been writing software for Windows and UNIX for 20 years but that I didn’t really have enough expertise to write about the intricacies of Linux. Looking back on those reviews they aren’t really reviewing much at all. The Mint review mentions that I had GRUB issues and the Peppermint review mentions the PRISM system which was a way to run web pages as if they are desktop applications. The Puppy Linux review is a bit better and actually includes screenshots. Some of the early posts were downright shocking in terms of content. I mean check out this article which is just really stupid. The one thing that has helped me when it comes to blogging about Linux and partly the reason I started the blog in the first place is the fact that I have been forced to learn more than I ordinarily would have done if I just used Linux. It also helps me with my shockingly poor memory because I can refer to my own guides when I have forgotten how to do something. By far the most popular articles on the site are the ones that show users how to dual boot Ubuntu with Windows and Linux Mint with Windows. There are loads of tutorials and guides for things such as installing Linux to setting up web servers, setting up Minecraft and setting up the Raspberry PI. Just click the tutorials link at the top of the page. I have also had success with the guides listing the top distributions for netbooks, for newer computers, for older computers and ancient computers. Just recently I released a new list of my current 5 distribution suggestions for the Everyday Linux User. Other guides people seem to like are the analysis of the top 10 distributions of 2015, or 2014 etc. These aren’t my top 10 but the top 10 on Distrowatch. In these articles I examine the suitability of each distribution in the Distrowatch top 10 for the Everyday Linux User. A lot has changed in the past few years. For instance Ubuntu moved away from GNOME 2 and changed to the Unity desktop, the BIOS changed to UEFI which caused all sorts of installation issues and alas many distributions have come and gone. Fuduntu was a Fedora based distribution designed to look like pre-Unity Ubuntu. In my review I compared it to other distributions such as Zorin, Mint and Ubuntu. I think the point that was really relevant however was the fact that Fuduntu was still stuck using GNOME 2 and that meant at some point a decision would have to be made. Unfortunately the decision did come and Fuduntu was no more. 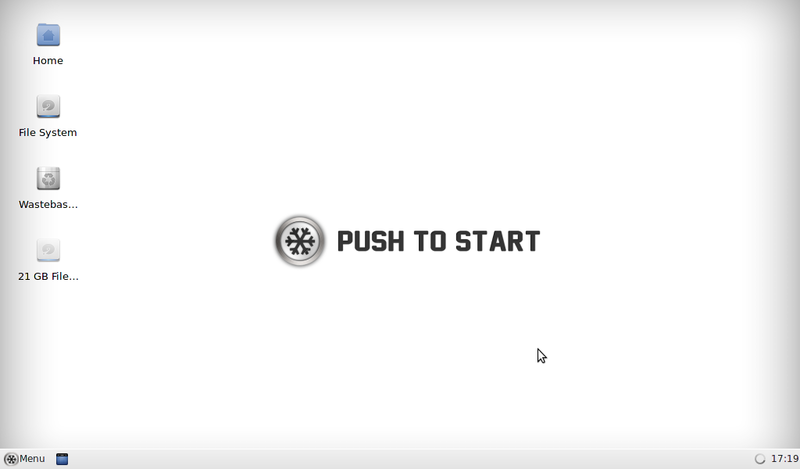 Yuck, SnowLinux. I have to say I never understood this one. There were already much better distributions around. It was too difficult to install, various important things didn’t work for me such as the ability to connect to the internet, permission issues and having to run the package manager from the command line. A much better distribution than SnowLinux was SolusOS. “What? Solus still exists doesn’t it?” I hear you say. 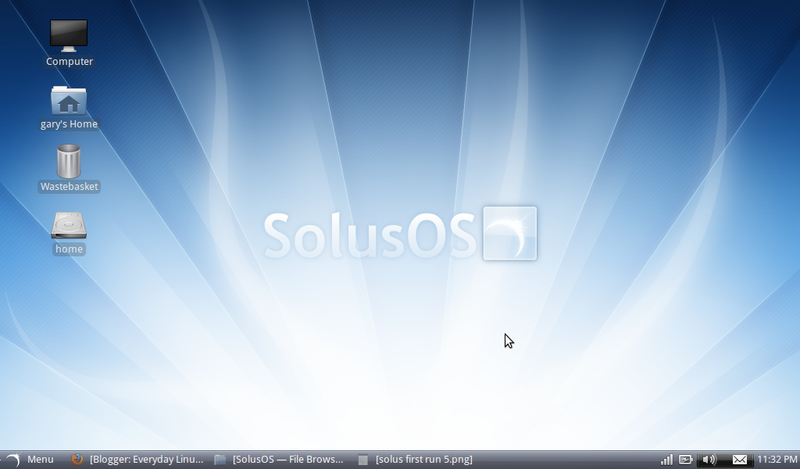 The new Solus distribution has nothing really to do with the old one. SolusOS was very good. It was easy to install, easy to use. Codecs were pre-installed meaning MP3s worked without hassle and Flash was available by default. Alas I think SolusOS fell for the same reason as Fuduntu, it never overcame the obstacle of moving on from Gnome 2.30. I have to say Crunchbang always put me off with the ultra black theme. I am colourblind and I found it really hard to look at. Crunchbang was all about performance however and loads of people I know thought it was great. It was actually a bit of a shock when the announcement came that Crunchbang was no more. SLAX was a distribution designed to run from a USB drive much like Puppy Linux. The software was installed in modules. It never really got to a stage where it was settled. One version changed to another with modules from each version incompatible with the other. There were even 2 websites for the same distribution which was really confusing. It was a bit of a shame because the idea was quite good. It hasn’t all been about reviews and tutorials however. I conducted a series of interviews a couple of years back with some of the people involved with popular Linux distributions. It hasn’t all been one way however and I myself did an interview for My Linux Rig. I also made a guest appearance on the Everyday Linux podcast. My favourite post was written off the cuff when one of my cats went missing and I wasn’t sure whether it was lost or whether it was just coming home very late at night and leaving very early in the morning. I therefore used a Raspberry PI and a very bad webcam to monitor the cat flap. It turned out the cat was coming back. Hey Raspberry PI, Where’s My Cat? The best bit about blogging is the feedback. Sometimes the feedback is good and sometimes it is bad. I got some right pelters from the Linux Luddites and Mintcast crew. Check this out. The harshest place in the world is definitely Reddit but that isn’t just when you are a blogger. It is like the wild west. In general the comments are very good and I thank you all for leaving them. Unfortunately it has got to the point I can’t answer every single one but I try to round some of them up from time to time and write guides to answer questions people have asked. I have done a few distribution reviews recently and there are a few more on the way including Zorin, OpenSUSE and the latest Fedora. I will also be focusing on applications again as it is all well and good choosing a distribution but after that you need to know which applications are available and what they do. I am also working on installation videos to show how to dual boot and install Linux to go alongside the written guides.